By now, most hotels offer a mobile app that, at the very least, lets you check in and check out. But the most innovative hotels offer evolved apps that do much more, from requesting amenities to making dinner reservations. For high-end properties, mobile apps and devices allow for the continuation of seamless service – a virtual butler picking up where the real one left off. For limited-service budget properties, mobile apps let these hotels deliver service without increasing staff or spending a lot of money. “Technology allows us to distribute our content, while enhancing guest services,” Aaron Stenhoff, vice president of Marketing and Digital at Red Roof Inn, tells us recently. He says things like apps and Wi-Fi help limited-service hotels like his deliver services customers want, without having to invest in costly infrastructure. Whether it’s a budget hotel or luxury, five-star palace, the industry is continuing to rely on mobile devices and apps to help cater to a new generation of travelers. Here are a look at some that have been implemented. 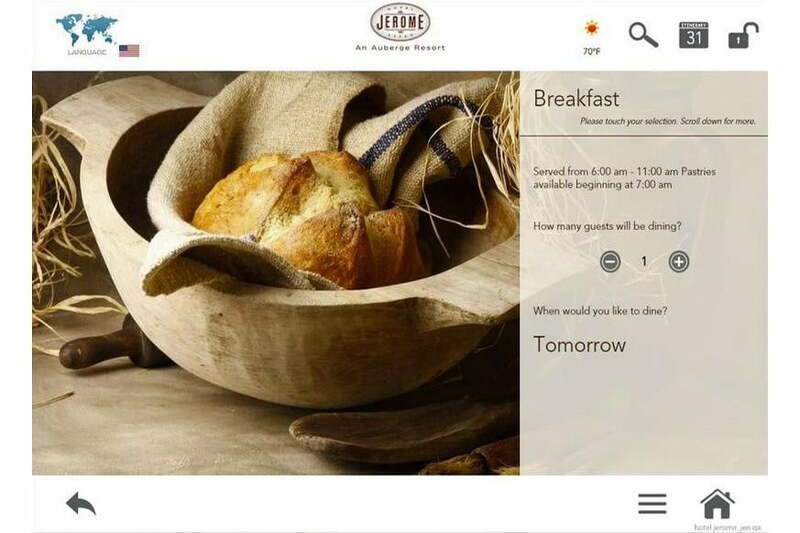 While mobile apps are creating virtual concierge experiences, Marriott is adding the human touch (after all, isn’t that what hospitality is all about?). The company’s app has a new Mobile Request function with a feature called Anything Else, which puts you into a two-way, real-time chat with the property. Guests can make requests before, during, or after their stay, and Marriott personnel can confirm requests on the spot. 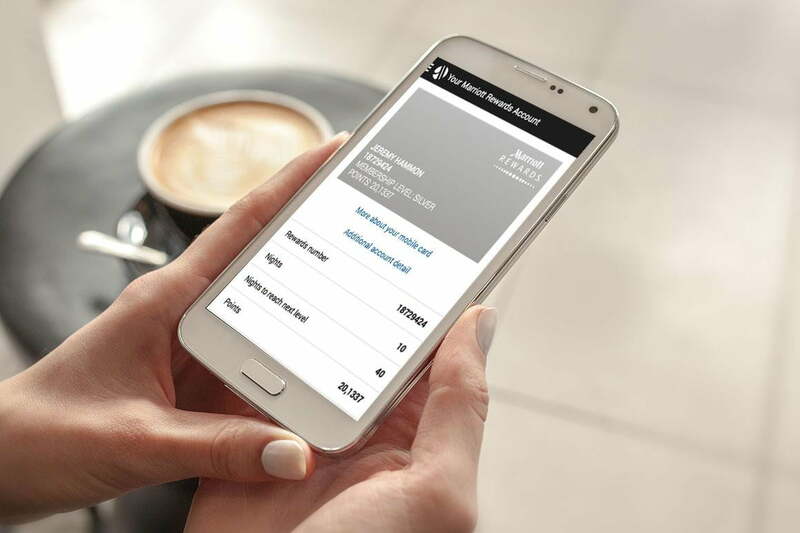 In its testing, Marriott found 80 percent of users preferred the Anything Else option. If you’d rather cut the chit-chat, the app also lets you request things extra towels and pillows through a drop-down menu. A real-time chat feature isn’t new, as the St. Regis in New York has an app that connects you with an “E-Butler,” but Marriott says this is the first major rollout across all properties by this summer. Staff at high-end hotels, like the Wynn in Las Vegas, aim to deliver impeccable personal service throughout their guests’ stay. During the times when staff members aren’t reachable, guests can turn to a special iPad that has been specially designed to function as an on-demand concierge. The iPads, which are handed out to guests during check-in, are loaded with software called SmartTouch, from Incentient (it’s not an app you can download to your existing device). You can request many of the same services a human concierge would offer – room service, spa appointments, area information, etc. But Incentient says that requests made through the app experience shorter wait times. From a New York-based startup, ALICE, is being rolled out at luxury properties like the Gansevoort, Parker Meridien, Hilton, and The Setai. Unlike Incentient’s SmartTouch, the app is downloaded onto a guest’s iPad (hotels can also provide a preloaded loaner iPad, or guests can access a Web portal on their laptops). But what ALICE touts as innovative is that all conversations are happening in real-time. That means that when a guest asks for something, the hotel’s employees see it immediately, while at the same time a manager is also monitoring the activity to either ensure it’s quickly met or if he or she needs to make improvements in the service. ALICE has raised $3 million in investor funding, and is looking to roll out new tech-based features this year. 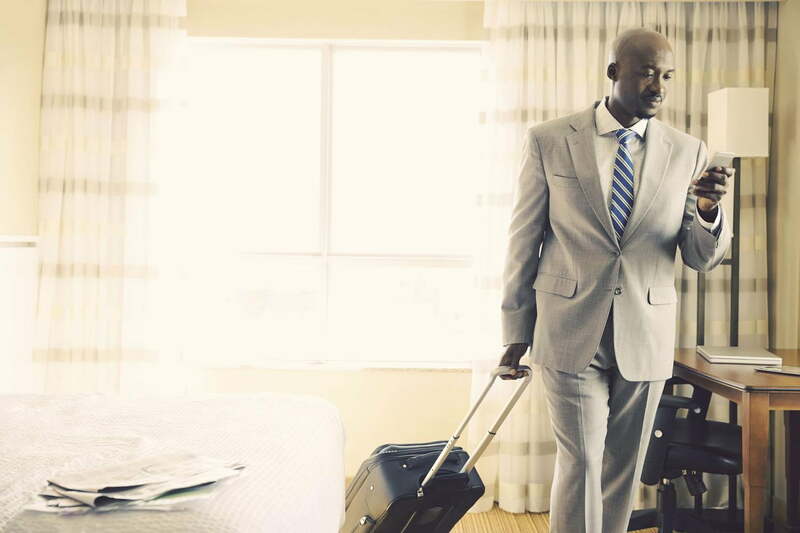 Besides letting you check in and check out, Hilton’s app also lets you pick your room. The app displays all the available rooms in a property, down to the floor plans. Now you no longer have to pray that the hotel staff doesn’t put you near the elevators, because you have control. 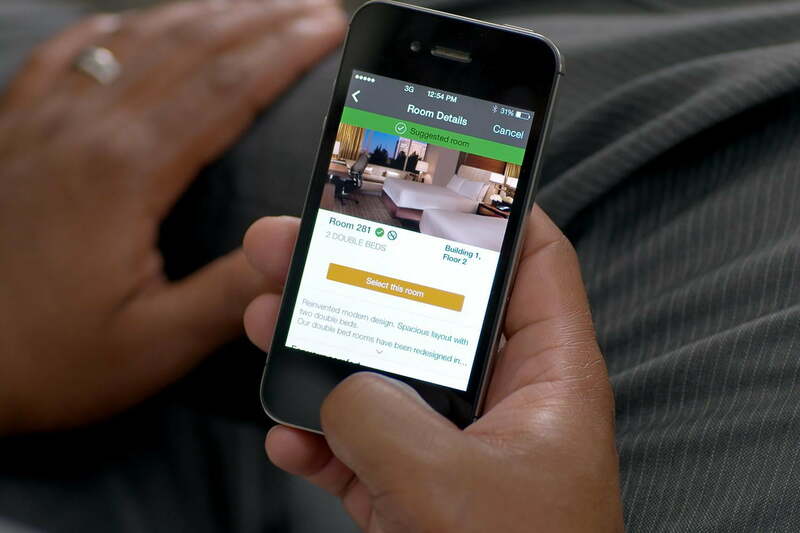 The app is rolling out across the Hilton family of brands, which also includes DoubleTree and Embassy Suites. By the end of this year Hilton is adding mobile room keys that let you unlock doors from a smartphone. With the ability to do almost everything from the app, you could literally bypass the hotel staff. Your hotel room has an iPhone dock? How antiquated, because the rooms in the new Renaissance in Allentown, Pennsylvania come with an iPad Mini. Using custom software called ICE, or Interactive Customer Experience, from Intelity, the iPad Mini replaces the need for an alarm clock or printed documentation. Like the aforementioned SmartTouch and ALICE, guests can also make service requests. 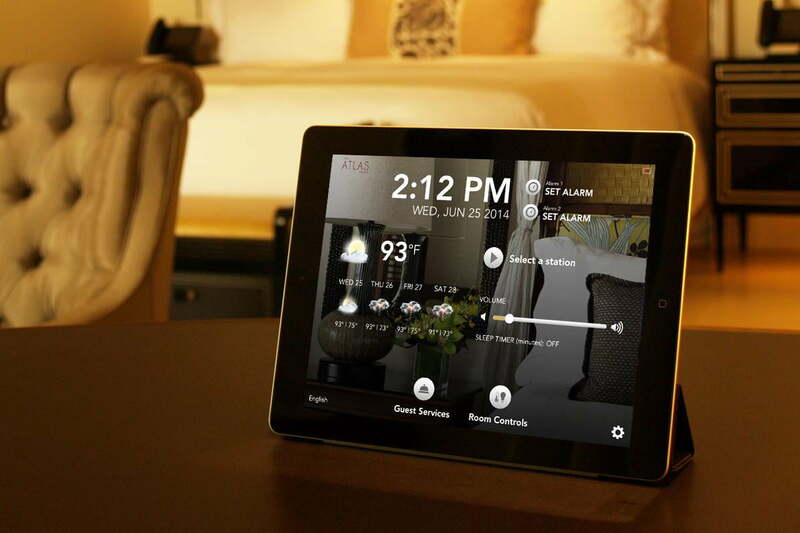 In other implementations, Intelity can customize the iPad to control the climate system. Plus, if hotel employees are equipped with Apple Watches, requests can be sent directly to their wrists. Because the content can be delivered on-the-fly, there’s no need to print updated information and hand-deliver to each guest. Unlike SmartTouch, Intelity can install its software on Android tablets too.